Given the triangle ABC. 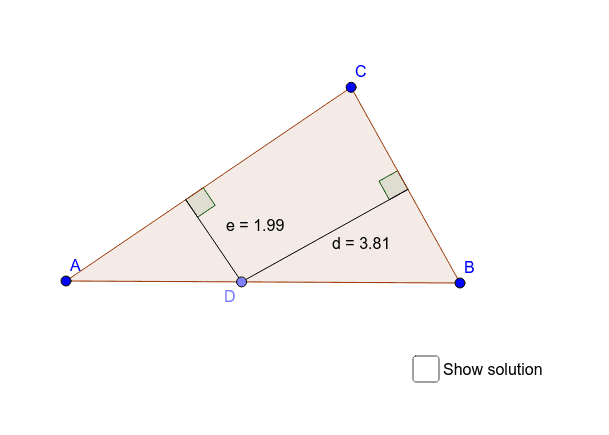 Where to put point D on side AB in order to be equally far from the other two sides? The line thickness of the implicit curve should be increased to show more than a single pixel on your screen. Also the layer level should be increased to not hide the points by other objects.